An honor student's day dives into bizarre and nightmarish territory as he attempts to navigate his urban landscape. 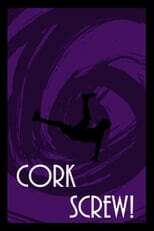 Director 's Comedy & Horror movie Corkscrew! & was released 2019-03-25.